Prior is a Romanian publisher interested in bringing to Romania the most interesting titles in the field of art, medicine, economics, but we are also very interested in school textbooks. We offer customers worldwide reference works, covering all areas of knowledge, including medical books, children’s books (especially for studying German) and art albums. 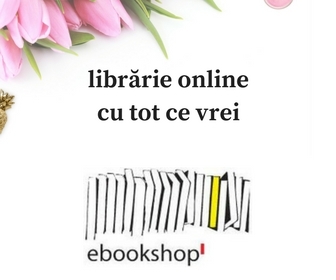 Besides being one of the oldest importers and distributors of foreign books on the Romanian market, we also manage the editorial part. Our editorial activity starts around the year 2000 and since then we have managed to bring readers different books from various fields: academic, medical, art or economy. Also, we focus on pre-university pupils and we managed to bring to life the collection of German language manuals “Tipptopp“, but also Mathematics and Romanian language manuals. Regarding art, the art Prior collection is a valuable series of art albums, including the works of some of the most important painters and artists in the world. Both the artistic univers and the life of these personalities can be found in the pages of these albums translated in 6 languages. The medical books are also important to us, which is why we have partenered with some of the most well-reputed specialists in the field to publish exceptional translations of some of the most known reference works in anatomy, oncology and more.